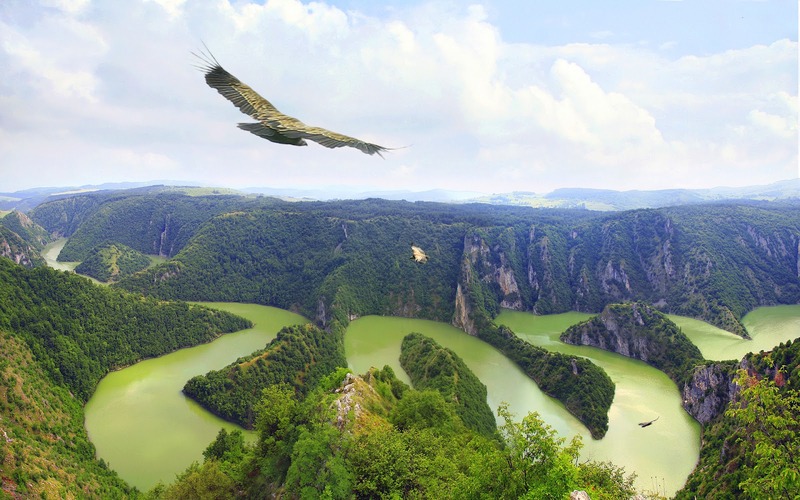 The Uvac is the international transboundary river, rising under Golija mountain and Pešter plateau, then flowing through southwestern Serbia and cross into eastern Bosnia and Herzegovina where, after 119 km, finally meets the Lim river from the right, however, before it empties into the Lim, for a 10 kilometers Uvac forms the border between two countries. Also, while meandering through Serbia, Uvac loosely makes the northern border of the Sandžak/Raška region too. 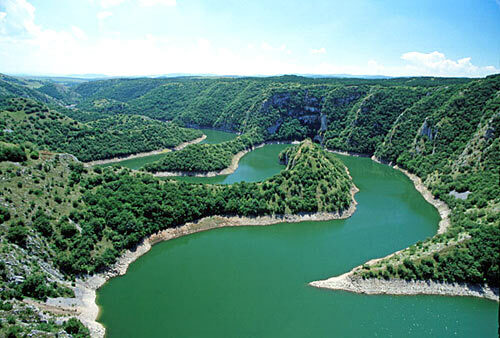 The Uvac originates in the Pešter plateau from the Ninaja mountain, as Rasanska reka . The stream curves around the Ninaja and Pometenik mountains, next to the villages of Tuzinje, Rasno, Dragojloviće and Gradac, where it meets Brnjička reka, enters the Sjenica depression and continues on depression eastern border as the Vapa, which is 25 kilometers long and drains an area of 496 km². The Uvac continues to the northwest, enters the Stari Vlah region where it flows in a deep, canyon-like valley, where it receives the Kladnica river from the right and generates lots of power, which is used for three powerful hydroelectric power stations, each one with big artificial lake: Bistrica with Lake Radoinja, Kokin Brod with Lake Zlatar (7,3 km², altitude 400 m, depth 40 m) and Sjenica with Lake Sjenica. 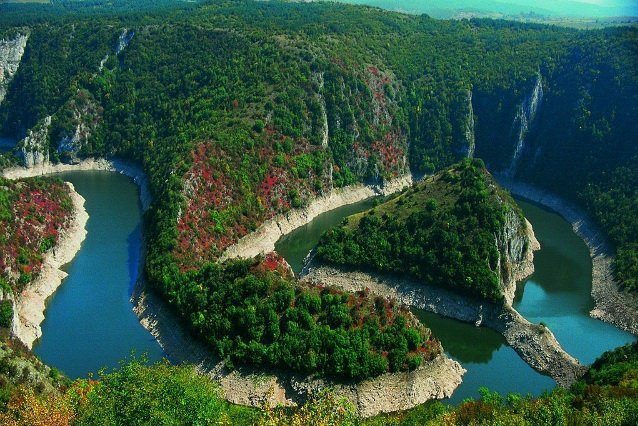 The Uvac drains an area of 1,310 km², belongs to the Black Sea drainage basin, and it's not navigable. Its average discharge at the mouth is 18 m³/s.